ReutersU.S. 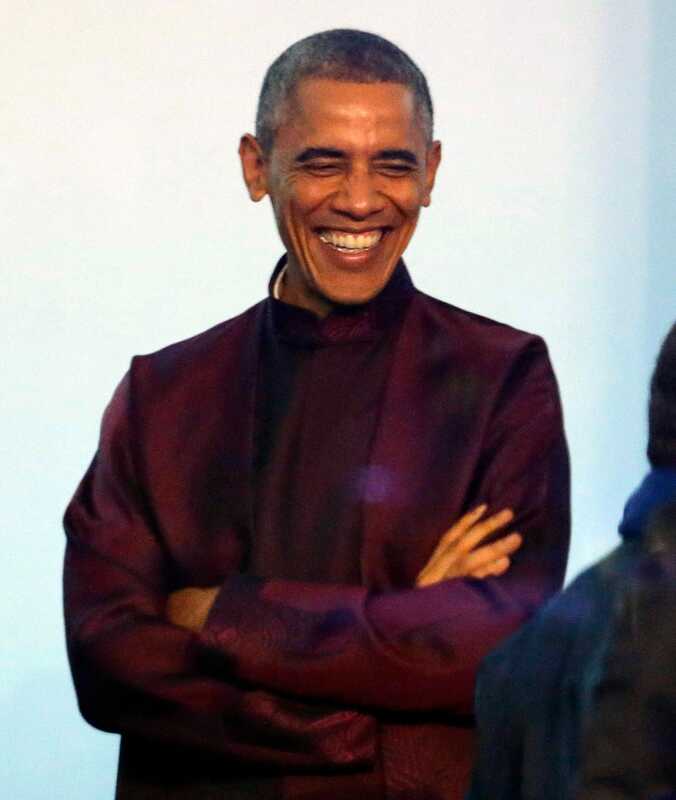 President Barack Obama, in a traditional Chinese outfit, after arriving at the Beijing National Aquatics Center, or the Water Cube, for the Asia-Pacific Economic Cooperation (APEC) welcome banquet, in Beijing, November 10, 2014. Top Republicans think President Barack Obama’s decision to take executive action on immigration is fundamentally undemocratic. As news broke on Wednesday that Obama is about to unveil his proposal, which will shield four to five million undocumented immigrants from deportation, Michael Steel, the spokesman for Republican House Speaker John Boehner, issued a statement condemning the president’s planned action. “If ‘Emperor Obama’ ignores the American people and announces an amnesty plan that he himself has said over and over again exceeds his Constitutional authority, he will cement his legacy of lawlessness and ruin the chances for Congressional action on this issue — and many others,” Steel said. “Undeterred, President Obama appears to be going forward. It is lawless. It is unconstitutional. He is defiant and angry at the American people. If he acts by executive diktat, President Obama will not be acting as a president, he will be acting as a monarch,” Cruz wrote. Sen. Jeff Sessions (R-Alabama) issued a statement of his own where he expressed support for a plan backed by several House Republicans, who want to use a government funding bill to block the money needed to support Obama’s plan. The deadline for that bill is Dec. 11 and, if it is not funded, there could be a situation similar to the government shutdown that occurred last year during the debate over the president’s healthcare law. Obama is set to announce the executive action in a primetime address from Las Vegas, Nevada on Thursday. He has defended his decision to act alone by arguing it was spurred by congressional inaction on immigration reform. The White House has said the executive order would be legal and noted it would be superceded by any congressional immigration reform bill. At his press briefing on Wednesday, White House Press Secretary Josh Earnest responded to a question about Cruz’s criticism of the president’s executive order by arguing the results of this month’s election showed voters are tired of government gridlock. “I think what I would merely say is that the president talked a lot over the last couple weeks about the lesson the he drew from the last midterm election. It’s the president’s view that the American people were interested in their representatives in Washington DC making progress on behalf of the American people,” said Earnest. In an email to Business Insider, Steel countered by noting Boehner’s GOP-led House passed a pair of bills designed to deal with the surge in undocumented children who crossed the border this past summer. Those bills were blocked by Senate Democrats. “I would note that the House acted to deal with the crisis at the border in response to the White House funding request last summer – but the Senate, controlled by the president’s own political party, utterly failed to act,” said Steel. The Democrat-controlled Senate has put forward a bipartisan immigration reform bill that has been stalled by the House. Obama is not the first president to issue an executive order to defer deportations. In fact, two of the last three Republican presidents, Ronald Reagan and George H.W. Bush, used executive action to grant amnesty to some immigrants who were not affected by the Immigration Reform and Control Act of 1986. However, Steel argued Obama has made many past statements indicating he doesn’t believe presidents have the authority to act unilaterally on immigration. “President Obama himself has said – over and over again – that action like this would exceed his Constitutional authority,” Steel said.